ST. PETERSBURG, August 30. /TASS/. 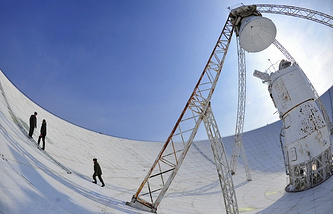 An unusual signal registered by the Ratan-600 radio telescope at the Zelenchukskaya observatory in the North Caucasus Republic of Karachay-Cherkessia is a terrestrial disturbance rather than a sound from an unearthly civilization, telescope researcher Yulia Sotnikova told TASS on Tuesday. "Last and this year, the telescope’s work has focused on searching for sun-like stars," Sotnikova said. "There have been no scientific results within the framework of this research so far. Some time ago, in the spring of this year, an unusual signal was received but its analysis showed that it was most likely a terrestrial disturbance," she noted, adding that the observatory was preparing the text of an official disclaimer to dismiss media reports on the discovery of a signal from an unearthly civilization. 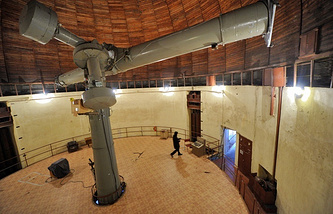 Director of the Institute of Applied Astronomy at the Russian Academy of Sciences Alexander Ipatov told TASS that back at the Soviet period he had been part of a group of young astronomers at the special astrophysical observatory searching for signals from extraterrestrial civilizations. "We, indeed, discovered an unusual signal. However, an additional check showed that it was emanating from a Soviet military satellite, which had not been entered into any of the catalogs of celestial bodies," Ipatov said. As renowned US amateur astronomer Paul Gilster reported on the website Centairu Dreams, the Zelenchukskaya observatory’s telescope possibly registered a signal from an extraterrestrial civilization sent from the stellar system HD164595 in the constellation Hercules. The signal was reportedly received at a wavelength of 2.7 cm. As Gilster claimed, the signal could evidence the existence of an extraterrestrial civilization as it was 8-10 times brighter than a typical pulsar or the Moon. 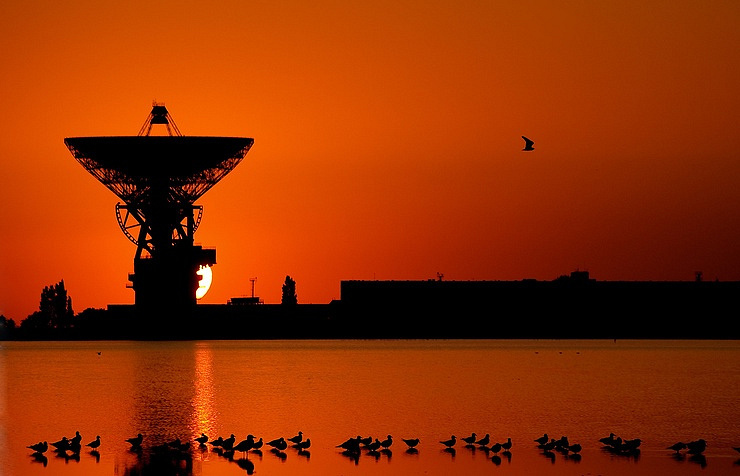 Russia’s Ratan-600 is the world’s largest radio telescope with its ring diameter of 600 meters. One of the telescope’s basic missions is to study the Sun but a lot of scientific program are simultaneously carried out with its help. The program, under which the unusual signal was detected, is being implemented by the special astrophysical observatory jointly with Moscow State University.